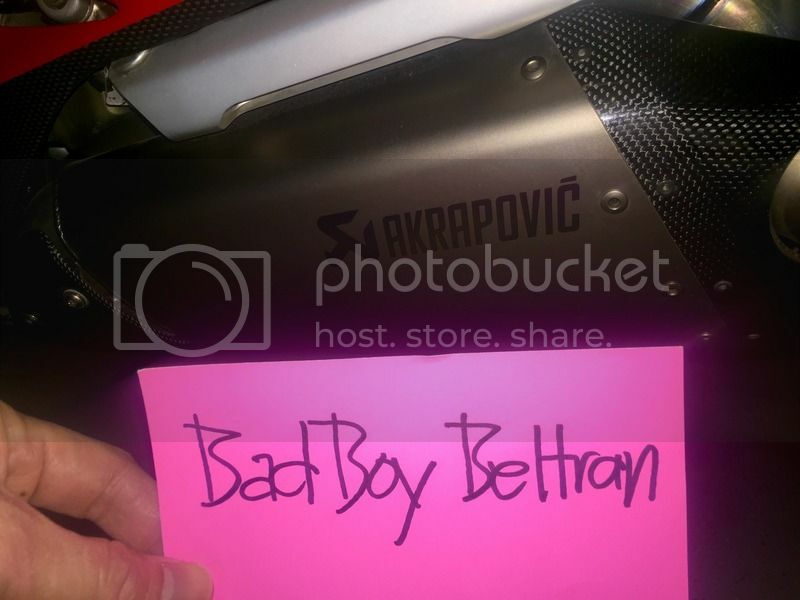 I am selling my Akrapovic Full Titanium for the Panigale. No dents. No Marks. No scratches. No fading on the carbon. I am the original owner. Will come with the box and Styrofoam container for the mufflers. $3000 or Best Offer shipped via Gift or buyer covers the 3% charge. 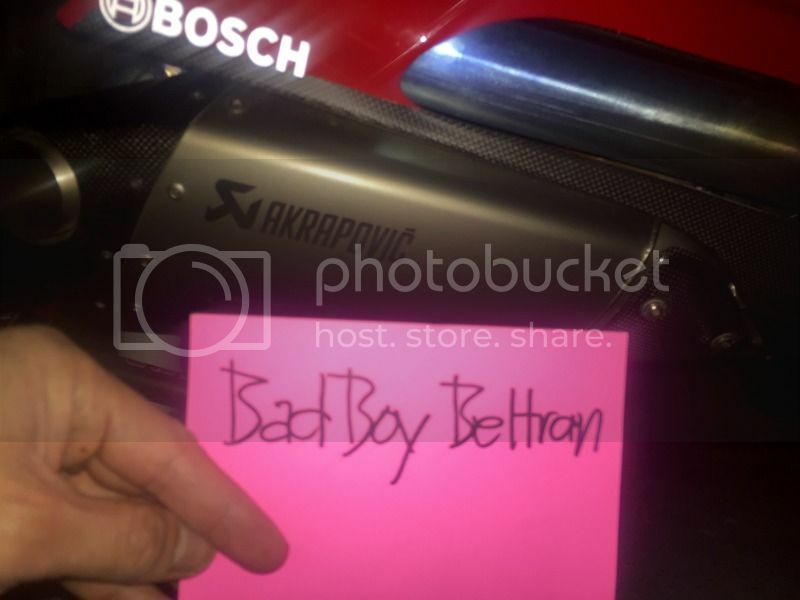 Last edited by BadBoyBeltran; Apr 3rd 2016 at 07:45 PM. 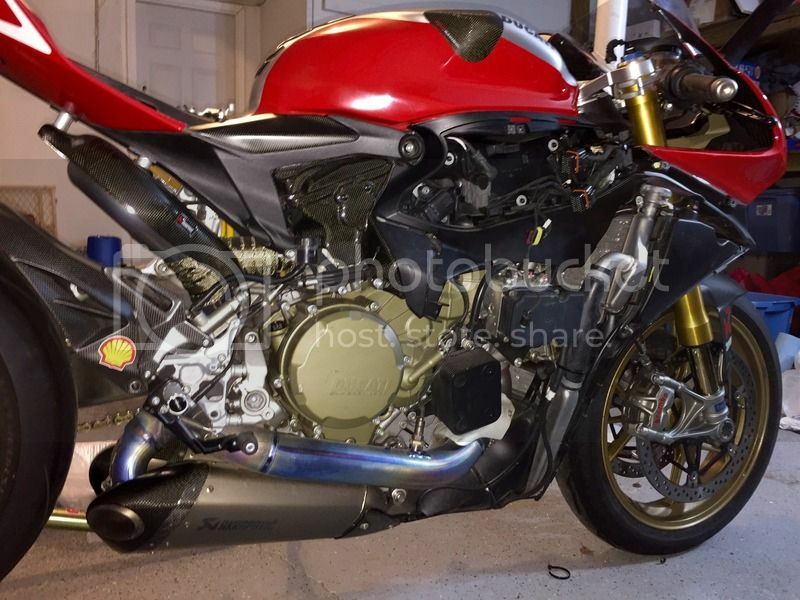 how many miles on the system and will it fit the 1299/pani R? 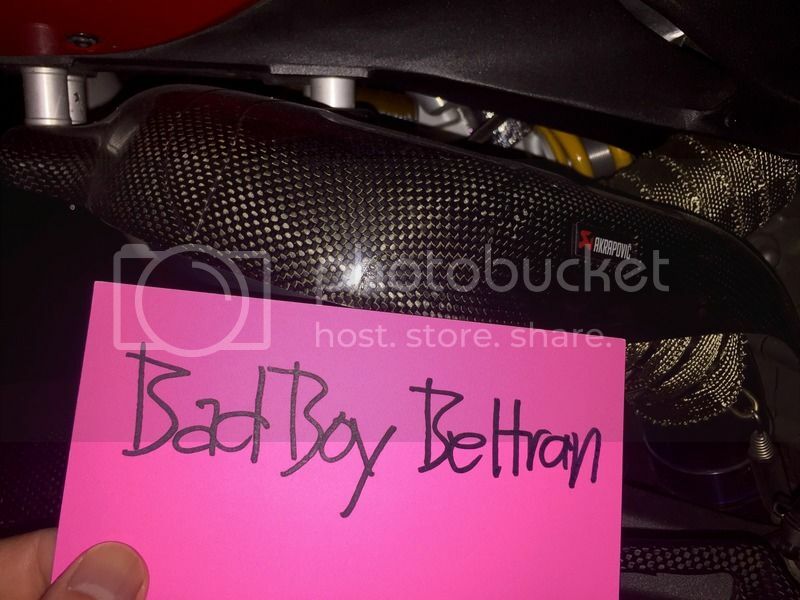 Got any pix of the rear header unwrapped? Would like to see what it looks like. I will remove the exhaust the bike soon and add more photos. This exhaust is perfect. There are no burns or marks under the wrapping. I did it to see if it helps with the heat. It does until the bike has been running and I feel like it is the same with and without. 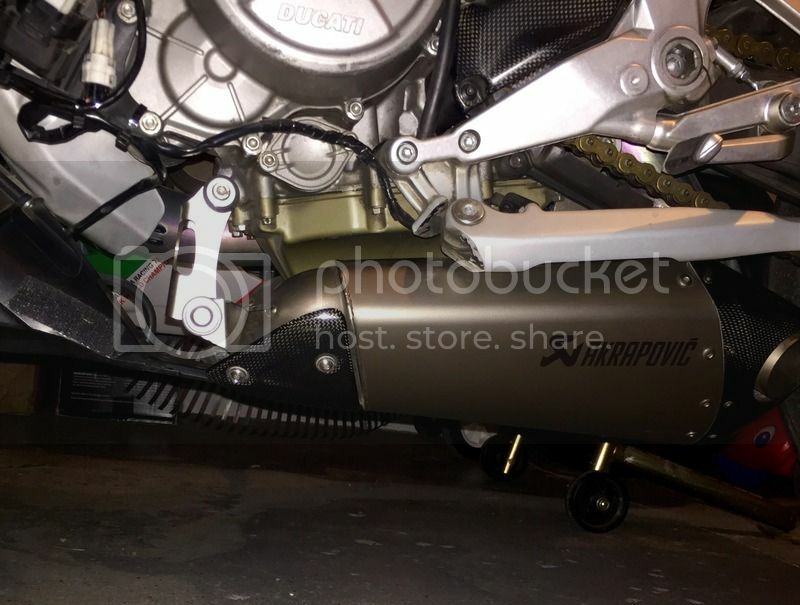 Since you're selling your bike, would you be interested in trading my 2015 Panigale R's OEM Akrapovic exhaust + some cash on my end for your exhaust?